Wynkoop is proud to support these community organizations, and deeply appreciative of the work that they do. We love beer, and we love people. We love people helping people. If we can use beer to help people help people, well, we are excited to do it! We are proud to be considered a Denver institution, and with that title comes responsibility. 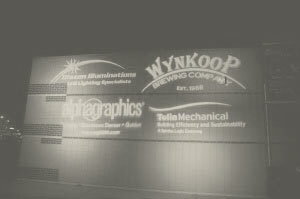 Wynkoop has always been incredibly involved in the community, and we wanted to take a moment to highlight some of the amazing organizations that we have had the opportunity to work with. 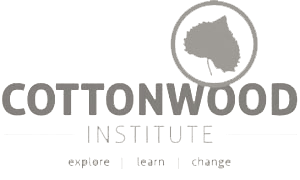 “The Cottonwood Institute has partnered with Wynkoop Brewing Company for the past 5 years. Wynkoop was one of the first restaurants in Denver to move towards zero waste by recycling and composting and this is really important to us. Wynkoop has supported the Cottonwood Institute by hosting fundraising events, donating beer for our Base Camp Bash fundraising event, donating brewery tours and gift cards for our auction, and two years ago created a fundraising beer called “Cottonwood Organic White” to help support our programs. Frites en Mayo Velo Club is a group of folks who enjoy racing bicycles and consuming great beers year round. We are active in the local racing scene putting on a race each year. Starting our 8th year, we have members racing mountain, road and cyclocross. Butterfly Pavilion is a unique zoo and is designed to showcase the diversity of tiny, but terrific animals called invertebrates, their habitats, and the big role they play in ensuring the health of our environment. Butterfly Pavilion provides fun and educational opportunities to 60,000 school children and nearly 300,000 visitors annually by combining science education with interactive exhibits where visitors may actually touch the animals! Butterfly Pavilion is the eighth largest cultural facility in the Denver Metro area, attracting more than 4.5 million visitors in its 18 years of operation. Butterfly Pavilion was the first stand-alone invertebrate zoo in the United States and has become a prototype for many others. The campus includes four indoor exhibit areas; eleven acres of public gardens and nature trails; two educational classrooms; and event space, including a 2,200 square foot ballroom. Butterfly Pavilion prides itself on being the zoo of small wonders and BIG experiences!